We all have to eat every day and most of us eat at least three to five times a day, so no one would be surprised if you told someone that you were going to take stock of your dietary intake. Whether it’s active dieting or just eating healthily, it’s healthy to look at what it is that we’re consuming, whether we’re having too little or too much, or whether or not we’re consuming the right things? 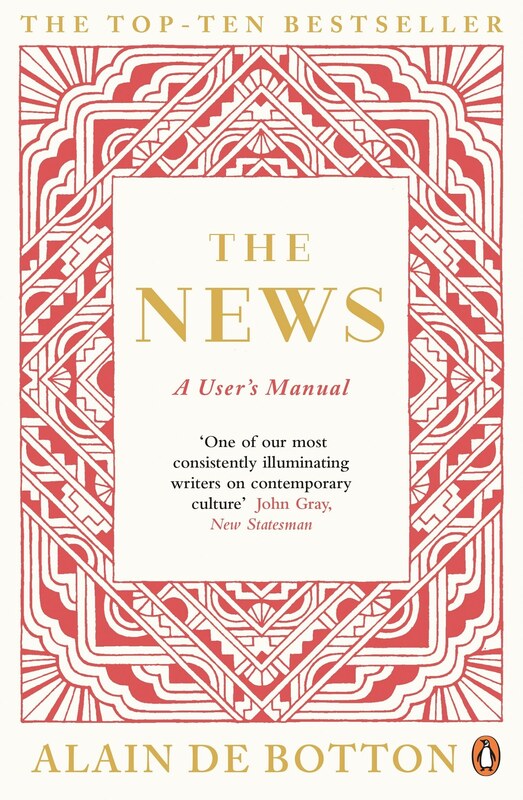 As Alain De Botton prepared to write his 2014 book “The News: a user’s manual“, he recognised that when it comes to consumption, the news plays almost as ubiquitous role in our day to day lives as food does. 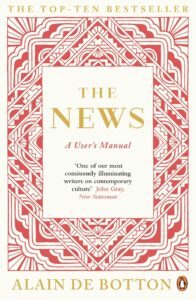 Whether it’s flicking through a broadsheet over breakfast, listening to the radio in the car, checking up on the latest online, or watching the evening news on TV, we constantly consume what the news has to tell us. But do we regularly take stock of this diet? Do we cast a critical eye at the news and ask whether we’re consuming too much of it and whether or not the news we do consume is healthy? These are some of the questions that De Botton considers in this intriguing book. From a Christian perspective, De Botton is on public record as being an atheist, yet his respect for religion, even in this book is clear. His willingness to look beyond the surface level, to ask deeper questions and to be self-reflective is a healthy model for the Christian, even if the final conclusions he comes to may differ to ours. When we come to the end of the book, if we applied every suggestion that De Botton makes, we wouldn’t have time to do anything else in our lives. There just aren’t enough hours in the day to adequately reflect on everything we see and hear. Nevertheless, much of what De Botton says in worthy of deeper consideration; he writes in a warm, engaging and readable manner, and accepting that not every idea will resonate with every audience, there are still plenty of gems to be found for anyone willing to have a look. Not only did this reader enjoy reading the book over the summer holidays, I think I might come back to it again in a year or two’s time!